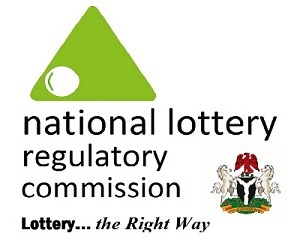 OrderPaperToday – The House of Representatives committee on Inter-Governmental Affairs has threatened to scrap the National Lottery Regulatory Commission of Nigeria (NLRCN) over non-performance. Chairman of the committee, Mr. Hussein Suleiman Kangiwa (APC, Yobe) came down hard on the Commission when its officials led by Mr. Lanre Gbajabiamila, its Director General, engaged the committee on the 2019 budget defence session at the national assembly on Wednesday. The chairman said he could not comprehend the rational why NLRCN that was appropriated the sum of N2 billion in the 2018 budget was struggling to generate a paltry N1.9 billion in the period under review. Kangiwa who was apparently disappointed with the accounts rendered by Gbajabiamila directed him to tender documents detailing capital expenditure incurred by his outfit in the 2018 financial year. Responding, the director general disclosed that his outfit generated the sum of N1.9 billion out of the N4 billion revenue projection for the 2018 financial year adding that the proceeds had been remitted to the lottery trust fund in line with the dictates of the law.